Union Minister and NDA leader Ram Vilas Paswan Monday said there was no question of bringing in an ordinance on construction of Ram temple at Ayodhya and government would wait for the Supreme Court's verdict on it. "I am happy that Prime Minister Modi has told Parliament that the government will wait for the Supreme Court's verdict on Ram Mandir and act accordingly. It is a closed chapter and hence there is no question of bringing in an ordinance or legislation in Parliament," he told reporters here to a question. Paswan stated this when asked to comment on the delay in Ram Janmabhoomi-Babri Masjid title dispute case hearing due to non availability of a judge. The Supreme Court Sunday cancelled the January 29 hearing in the politically sensitive Ram Janambhoomi-Babri Masjid land title dispute case as one member of the five-judge Constitution bench would not be available. Paswan said though RSS and BJP leaders had been raking up the Ram Mandir issue, the prime minister had not even once raised the issue, "which is good". On conferring the Bharat Ratna to former president Pranab Mukherjee, Paswan said there should not be any question of controversy in it because the award has been announced by the government and not by the BJP or RSS. "There should not be any question of a controversy on conferment of Bharat Ratna on Pranab Mukherjee. The award has been declared by the government, not BJP or RSS," he added. "Some are saying he was given the award because he attended an RSS event. Is this an issue? In the past, many top Congress leaders also attended RSS events," he argued. 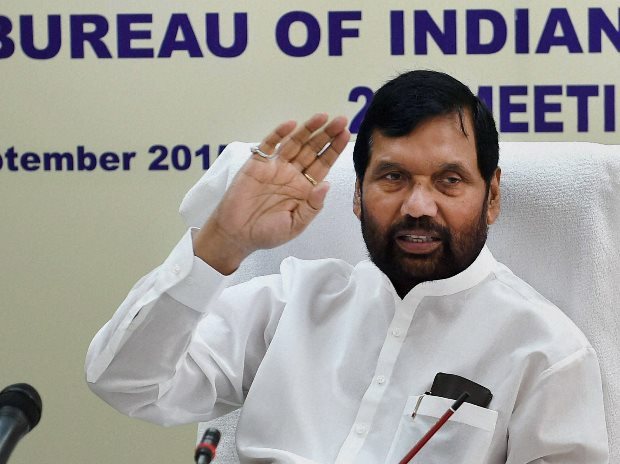 To a query, Paswan expressed confidence that the Modi government would retain power in the coming Lok Sabha elections since the so called 'Mahagatbandhan' has not found a strong prime ministerial candidate. "For the last two years I have been saying that thereis no vacancy for prime minister's post except Modiji in the 2019 elections. The biggest problem facing opposition parties is lack of strong leadership. They are yet to decide on a prime ministerial candidate," he said. Also, Congress has a bad reputation of ruining coalition partners by withdrawing support, Paswan said.